Coffee beans contain a number of substances that increase the production of stomach acid. In particular, caffeine and organic compounds known as catechols were shown to increase stomach acid in a 2010 study conducted by Veronika Somoza, Ph.D., of the University of Vienna, Austria, and Thomas Hofmann, Ph.D., of the Munich Technical University in Germany. This increased acid production leads to heartburn because the acid pushes through the lower esophageal sphincter and into the esophagus. The caffeine in coffee beans helps people shake off sleepiness by blocking adenosine, the hormone responsible for drowsiness. With this chemical blocked, people feel more awake, alert and energized. However, once the caffeine is out of the body, people often experience a crash, leaving them feeling tired and mentally sluggish. A 2007 study conducted by Victor Maridakis and colleagues from the University of Georgia found that consuming caffeinated coffee before a workout reduced muscle soreness by 26 to 48 percent, depending on the type of exercise. The researchers believe this is due to caffeine's ability to block adenosine, which is also responsible for the perception of muscle inflammation pain. Coffee beans contain enzymes that stimulate bowel contractions. For this reason, coffee is a fast-acting laxative for many people. Even decaffeinated beans contain laxative-like enzymes. Eating coffee beans that have not been decaffeinated can cause sleep disruptions hours after consumption. These disruptions include trouble falling or staying asleep and not feeling well-rested upon awakening. The extent of sleep disturbance depends on how many beans are eaten, how often the person consumes coffee and how long ago the beans were eaten. 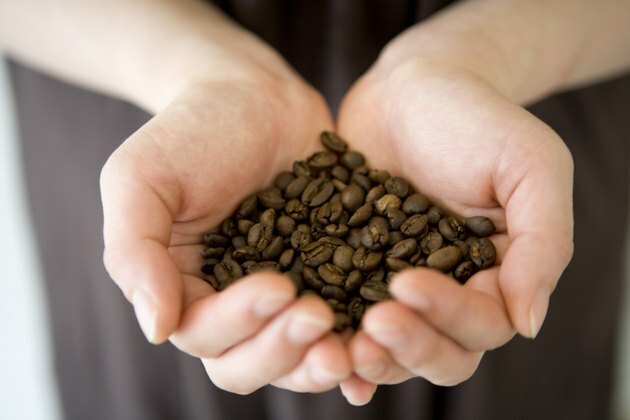 Gaia Naturopathic Clinic: Effects of Coffee and/or Caffeine on the Gastrointestinal Tract; Dr. Julla Gonen, N.D.
Sono Coffee Beans: Can I Eat Coffee Beans Instead of Drinking Coffee?